A new computer programme developed by scientists at the Universities of Edinburgh and Glasgow can assess whole brain deterioration and help predict cognitive function after stroke up to ten times more accurately than current methods. The new approach, published in the International Journal of Stroke, can quantify visible brain injury from cerebral small vessel disease (SVD) and brain atrophy by translating the million-plus bits of information stored in brain scans into a single measure, the “brain health index”. SVD features and brain tissue atrophy both increase with age, are often present together and are risk factors for stroke and dementia. The brain health index may also give early warning of risk of future cognitive decline in individuals before they notice any symptoms. There are currently limited treatments to prevent or delay declining cognition or dementia due to vascular disease, but if the risk is identified early, the development of these diseases might be slowed with lifestyle adjustments and treatments for risk factors like blood pressure. 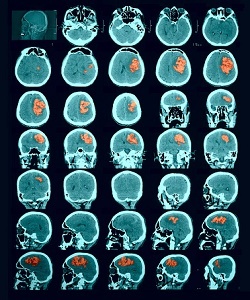 Currently, brain scans help doctors know when a stroke has occurred, and also contain information on whether a stroke survivor may be at risk of developing cognitive problems or dementia. Professor Joanna Wardlaw, at the University of Edinburgh, said: “We found that putting all visible factors on the scan together gave a better prediction, yet most current computer methods do not consider all factors available on the scan and may not be suitable for older patients. This is what led to the development of the “brain health index”. The study recruited 288 participants in Edinburgh, including stroke and lupus patients and healthy working-age volunteers. The brain health index predicted more strongly cognitive deficits commonly seen in stroke and SVD than current, validated clinical scoring methods and other computer programmes used for assessing features of brain deterioration. Dr Dickie added: “Through a unique collaboration between the Universities of Glasgow and Edinburgh, which is funded by the Stroke Association in the UK, the next step is to test the brain health index approach in newly-developed brain scanners, such as the ultra-high resolution 7 Tesla scanner at the University of Glasgow’s Imaging Centre of Excellence, and in larger groups of patients. The paper, ‘The brain health index: Towards a combined measure of neurovascular and neurodegenerative structural brain injury’ is published in the International Journal of Stroke.